In April 2018, Powervault launched Powervault 3, which is currently one of the smartest home battery storage systems on the market. The system specification was updated in July 2018, with a change of size and chemistry. Ask most people which chemistry the typical home battery storage system utilises, and you will get the standard response, 'lithium-ion'. However that hides the fact that whilst the anode of lithium-ion batteries is basically the same (carbon/silicon and graphite), the cathodes vary considerably, leading to trade-offs between energy density, life cycles and thermal stability. The first version of Powervault 3 used a lithium ferro phosphate (LiFePO4) battery. The new version uses “lithium polymer”, or more correctly lithium-ion polymer battery. Known as a LiPo or lithium-poly, the battery uses a lithium-ion base (lithium nickel manganese cobalt, NMC for short) with a polymer electrolyte instead of a liquid electrolyte. The new lithium polymer cells contain STOBATM safety technology, which, according to Powervault, means you can pierce the cells or take a naked flame to them without risk (but we absolutely don’t recommend you try it…). 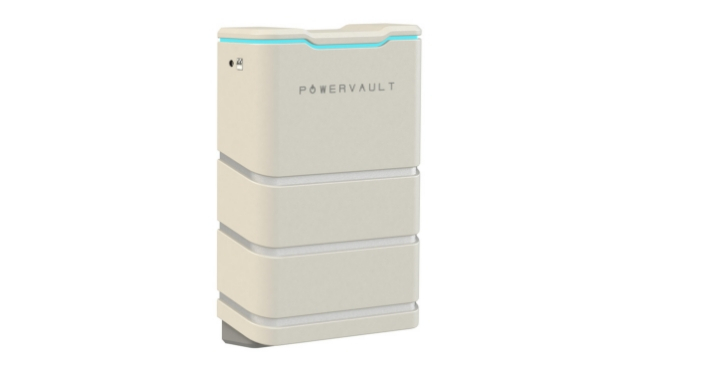 Powervault 3 is a really forward-looking piece of kit, with all of the smart functionality that you could imagine will be required of home storage in the next decade or so. The company is well ahead of the competition in rolling this out. 'off-peak' charge and 'peak' discharge (buy peak, use cheap) - perfect for time-of-use' tariffs such as Economy 7 or the Green Energy TIDE tariff, or the new Agile Octopus tariff. from September 2018, emergency power supply to provide up to 5.5kW power in a power cut. There is more information about FFR in our Commercial Storage section. Essentially the National Grid has to balance supply and demand, and keep the frequency of the grid within +/- 1% of 50Hz. Traditionally, coal has been one of the 'quick response' fuels to balance demand and supply, but with the closure of coal fired power stations, there is a need to find alternatives. Battery storage offers a 'quick response' alternative. The grid pays fees to assets such as batteries that it can call upon to charge and discharge balance the grid. The profile of electricity use obviously fluctuates during the day, with seasonal differences and differences between weekdays and weekends. Weather also makes a difference. Energy traders are able to take advantage of these variations in supply and demand - expected or unexpected - and make a profit from spot trading. Powervault 3 has the capability to meet grid demands, but in order to benefit, owners will need to allow management (via subscription) of their battery by a third party. Powervault 3’s initial offering in this area is called GridFLEXTM. Customers can sign up to GridFLEXTM for a period of two years and receive a flat £20 per month fee (£240 per annum) for allowing the use (management and control) of their battery to provide grid services. The system owner permits Powervault to control and manage the system and to charge and discharge at different times of day causing variations to the import and export of electricity at different times of day. 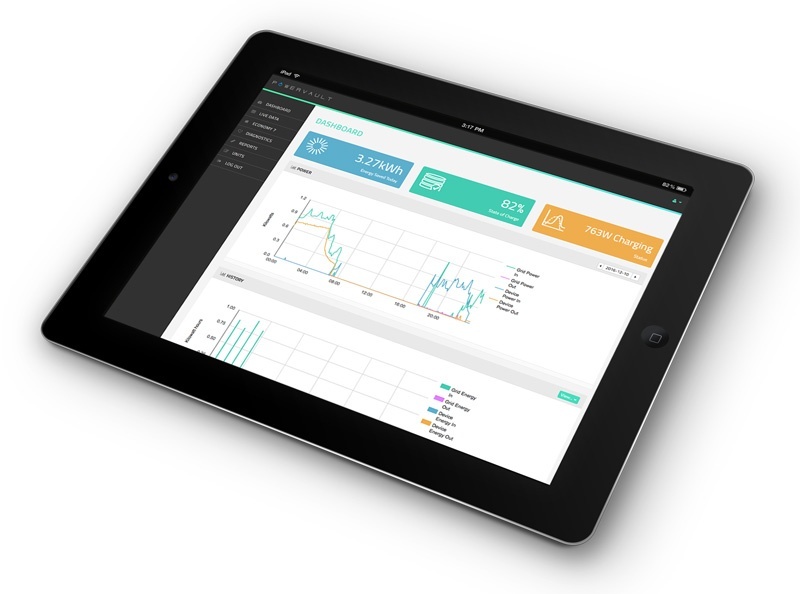 If requested by Powervault, the system owner must switch energy supplier, have a smart meter installed and switch to a variable time-of-da tariff. The obvious question is: does the £20 per month represent good value to the customer for giving up control of their battery? The answer depends entirely on whether what Powervault does with the battery is in line with what the customer would have done anyway, or not, and therefore, how much does it cost the customer to provide the FFR services ( in terms of imported electricity which is then exported straight back out to the grid). We have analysed the GridFLEXTM proposition in more depth in our Head-to-Head guide (Powervault 3 vs Powerwall 2) - see the link below. If you were a commercial client and you wanted to participate in the FFR market, you would ensure that your battery was sized such that any discharge under FFR was soaked up on site by your demand. You would also structure the contract to ensure that you could do your own peak tariff avoidance and not allow operation of your battery for FFR purposes in peak cost times. As an individual you can’t do this. You give up the right to control your battery and you even give up the right to choose what tariff you are on. All for £20 a month. Don’t do it until terms improve! To us, the risks outweigh the benefits. We would recommend battery storage is evaluated on the basis of what it can do in terms of peak charge avoidance, storing excess solar and providing back-up. At the moment, GridFlexTM doesn’t seem to allow the customer sufficient flexibility or downside protection to make it worth serious consideration. As a guide, the installed cost of a Powervault 3 (including VAT at 5% - i.e. if installed alongside a new solar system) is likely to vary from around £5,000 for the smaller unit to around £10,600 for the largest unit. Tesla's Powerwall 2 provides a good benchmark against which to compare any home battery storage system. Powerwall 2 offers one of the lowest cost batteries on the market (in terms of cost per kWh), it is also one of the most popular batteries, and one that most people have heard of. Powervault 3 compares well with Powerwall 2 although in our view Powerwall 2 gives a better warranty. Tesla promises a lower lifetime output than Powervault 3, but backs it up in its warranty. Powervault 3 promises over twice as much output per kWh rated capacity as Powerwall 2, but, if you are using the battery at a rate of 1 cycle a day or less, much of the promised capacity sits outside of the warranty. In terms of basic functionality: ability to store excess solar power and do scheduled 'time of use' charge and discharge (i.e. buy cheap, use peak), both batteries offer similar - and comprehensive - functionality. As well as overall capacity, Powerwall 2 has some advantages over Powervault 3. For example Powerwall 2 can go outside, and there is the option to install back-up with Powerwall 2. To set against that, Powervault 3's smart capability currently out does that of Powerwall 2. Realistically the only smart functions that an individual user will use in the near term are the smart appliance control and the machine learning algorithm to optimise energy costs. But the promise of being able to participate in the energy trading markets and earn income is an enticing one - exactly what the government's roll out of Smart meters was intended to encourage. In conclusion, both Tesla and Powervault have produced ‘market-leading’ technologies, embracing the opportunity that battery storage presents. functionality – in the long run both systems will probably have the capability to offer the full range of functionality discussed above, but in the short term, beyond the core functionality of excess solar storage and off-peak charge / peak discharge, it’s a question of back-up (Powerwall 2) vs smart (Powervault 3). warranty – it is very important to check the fine print of the warranty before proceeding with any home battery storage system purchase. Click on this link to download the Powervault 3 datasheet. Click on this link download the Powervault 3 warranty as at July 2018. 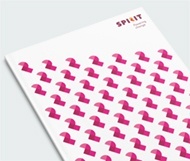 If you would like to request advice or a quote, please call 0118 951 4490, email info@spiritenergy.co.uk, or click on this button and complete our online advice/ quote request form. Interested about finding out about other battery systems? You can read our summary page on battery storage for solar panels here. 70% Self-Supply... Do You Need More PV?